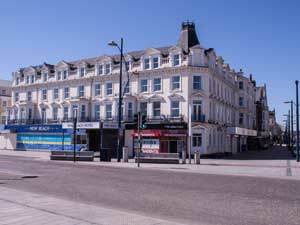 New Beach Hotel01493 332300work01493 331880fax HotelThe New Beach Hotel, Great Yarmouth occupies arguably the best position on Marine Parade, opposite Britannia Pier, overlooking Central Beach and next to Regent Road. From A47. Follow signs to seafront. Situated on the corner of Regent Road, opposite Britannia Pier.